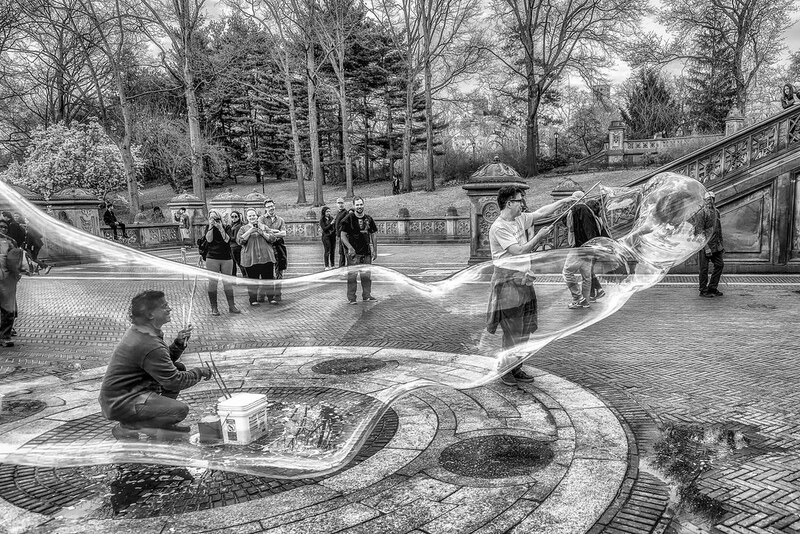 Flickr member Tom Piorkowski posted this well timed image of man making large bubbles in Central Park. It’s heavily processed (maybe HDR?) but it works well for me.